Once you have your customer records in place, what follows is the constant need to maintain and manage them to keep them up to date with the latest details. With searching, sorting, organising, and filtering data, you can quickly get to a particular customer record, view and update the customer contacts, the sites and also create jobs for the customer right from their profile. To learn more about the types of customers, read Introduction to Customers. Any changes recorded against the customer such as appointment changes or customer details. Any new requests from the customer that are to be actioned by creating jobs. Go to the Customers page. 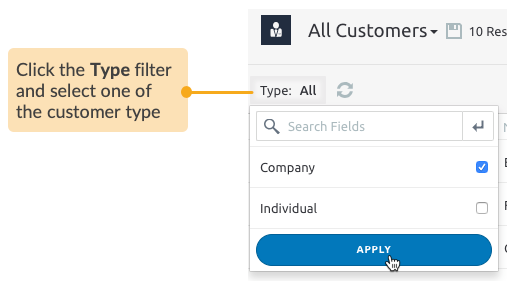 Apply the Type filter to narrow down the customer types you are viewing. The Type filter displays only the selected customer type as shown below. If you want to go back to viewing all the customers again, just clear the filter. 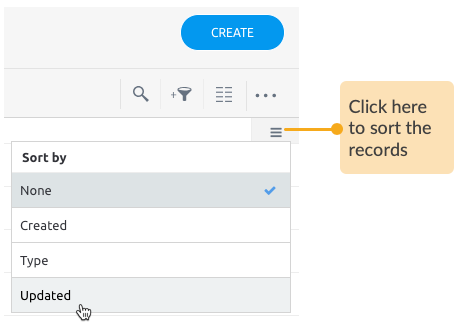 You can further organise the records using the sort criteria. View the list of sites associated with the selected customer and easily change the details such as the site name, site address, and the site contact for a company customer. 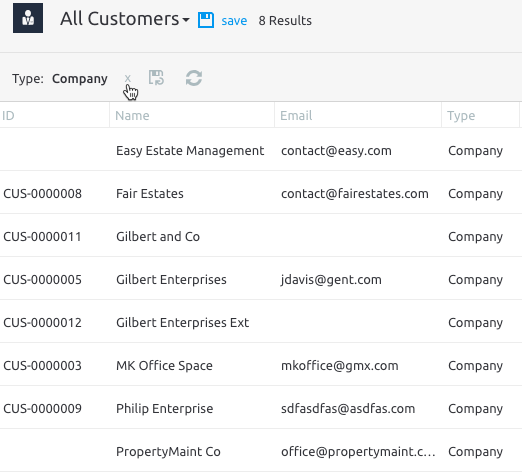 You can add new sites for the customer right from the Sites tab on the full inspector. 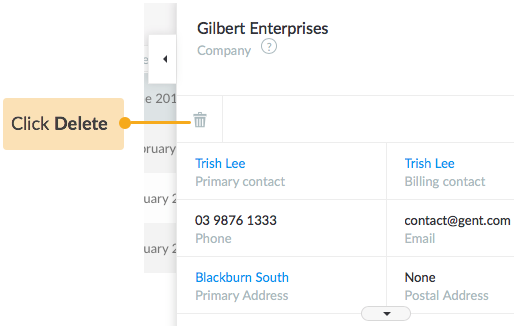 If the selected customer is a Company, you can easily maintain an up-to-date list of their contacts right at the Contacts tab on the full inspector and use those contacts to quickly update the customer's primary contact, billing contact, alternate contact, or the site contact whenever required. 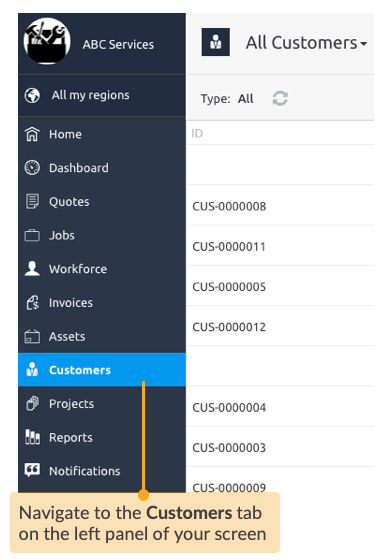 Easily access the list of jobs created for the selected customer and create new jobs right from the Jobs tab on the full inspector. You can delete a customer if they are no longer active. IMPORTANT: Please be aware that if you delete a customer, the associated sites and company contacts specified in the existing jobs for the customer will be removed, and no longer be available. However, any field logs and history recorded against existing jobs and appointments will stay intact.